Fears of listeria has resulted in the voluntarily recall of vegetables from more than 20 brands. The products include Trader Joe's Kohlrabi Salad Blend, Walmart Broccoli Slaw, and Archer Farms' Brussels Sprouts. All the products are from Mann Packing of Salinas, California. 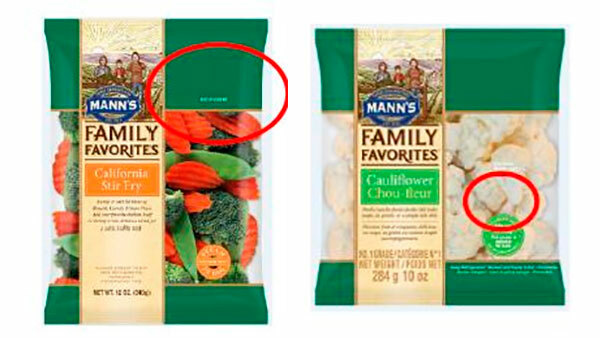 Mann Packing says it is issuing this recall in response to a single positive result found on one of its products during random sampling by the Canadian Food Inspection Agency. To date, public health officials have not reported any illnesses associated with these products. The recalled products were distributed throughout the United States and Canada with "best if used by" dates from October 11 to October 20 listed on the front of the packaging. Mann Packaging has set up a hotline to learn more about the recall at 1-888-470-2681.